A North Shore local of over 32 years, Diane Cosentino has helped dozens of families find their ideal homes in one of New York's most scenic communities. 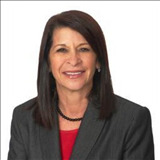 Diane has over 20 years of experience in Long Island Real Estate. Her commitment to client satisfaction has won her both recognition as a consistent Top Producer in her brokerage and membership in the prestigious ReMax® 100% Club. Diane understands that your home represents one of your most significant life decisions, and in cooperation with the team of experienced brokers at ReMax® Beyond, promises to sell your home for top dollar and make your move comfortable and stress-free from start to finish. In addition to her specialty in North Shore real estate, Diane is also extensively familiar with the Nassau, Suffolk, and Queens communities. She is an active participant in many organizations, including the Chamber of Commerce, the Children's Miracle Network, PTA, and many more. Above all, Diane values the referrals of past clients, the number of which has led to Diane's continued success in the North Shore market. For a complimentary home valuation, please call (631) 236-2721 to find out how Diane can help turn your dreams into reality.